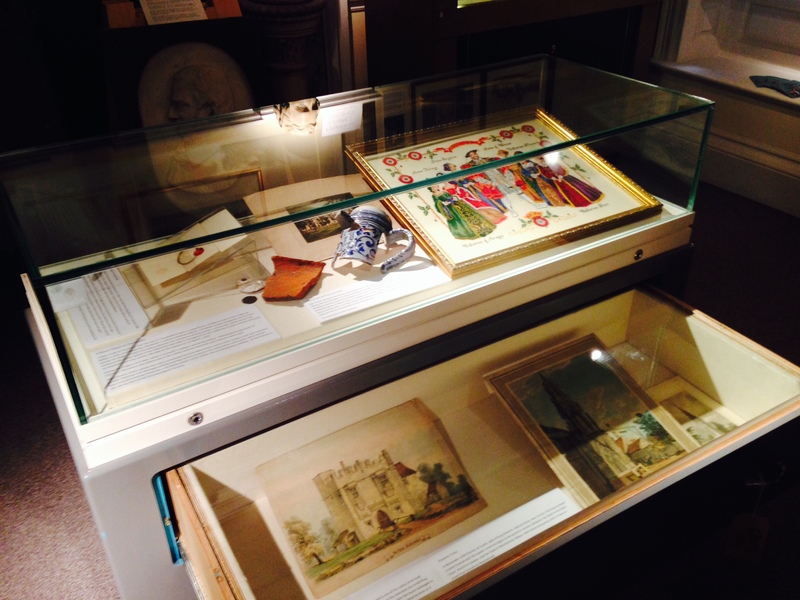 Lowewood Museum’s new exhibition ‘Romance in Stone’, which will run from 14 January to April 29, celebrates the impact of Broxbourne’s landscape design firm James Pulham & Son on national garden fashions from 1845-1939. Famous for landscaping beautiful rustic waterways, rocky streams, grottoes and tunnels, the company also developed a range of over 200 garden ornaments. They were made from cast stone and terracotta, with the latter made at the firm’s manufactory here in Broxbourne. Three key James Pulham & Son vases are on display in the exhibition, showcasing the beauty of their designs and the clients they worked for. The firm designed many of their ornaments for a specific client or project, naming the product after the location and adding it to the range that future clients could select from. On loan from Ewell Court House in Surrey is an original Pulham Preston Vase. The firm first created the Preston Vase in 1864 for Miller Park in Preston, to a design created by the Victorian park designer Edward Milner. In the 1880s Ewell Court’s new owner, John Henry Bridges, built a red-brick house in the ‘Old English’ style, and in the 1890s he re-landscaped the gardens. James Pulham & Son ‘rockified’ (formed into a rocky landscape) the banks of the stream and created a boating lake with a boathouse, island and cascades. They also created a large fountain with four Preston Vases around its base. Originally designed Pulhams for Westonbirt House in Gloucestershire, the Westonbirt Vase has had a new lease of life in recent times in a replica range manufactured by the cast stone company, Haddonstone Ltd.
James Pulham & Son worked at Westonbirt in Gloucestershire in the 1880s, creating an artificial lake and a clearing with a rockery and grotto where Westonbirt village once stood. Wealthy landowner Robert Stayner Holford had moved the whole village half a mile down the road to improve the view from his new Elizabethan-style palace. The firm designed the Westonbirt Vase, which they later supplied to Avenham Park in Preston, next door to the Preston Vase-adorned Miller Park. In 1928, the house became a girls’ boarding school, and the governors asked Haddonstone Ltd to make new copies of the vase by creating a mould from the original. Replicas of the beautiful Westonbirt Vase are now on sale again. Another Pulham design which has also been replicated by Haddonstone Ltd is the Nottingham Vase. The firm supplied one of these vases to Leopold de Rothschild for Ascott House in Buckinghamshire. In 1949, the Rothschilds gave the estate to the National Trust, which commissioned the first replica. It is a testament to the appeal of James Pulham & Son’s work, many made at the Broxbourne manufactory, that their designs are still being bought for gardens today. Lowewood Museum’s exhibition – ‘Romance in Stone – The Pulham Legacy of Garden Design’ is open from 14 January – 29 April 2017 during normal museum opening hours (Wednesday – Friday, 10am – 4pm and Saturday, 10am – 5pm). 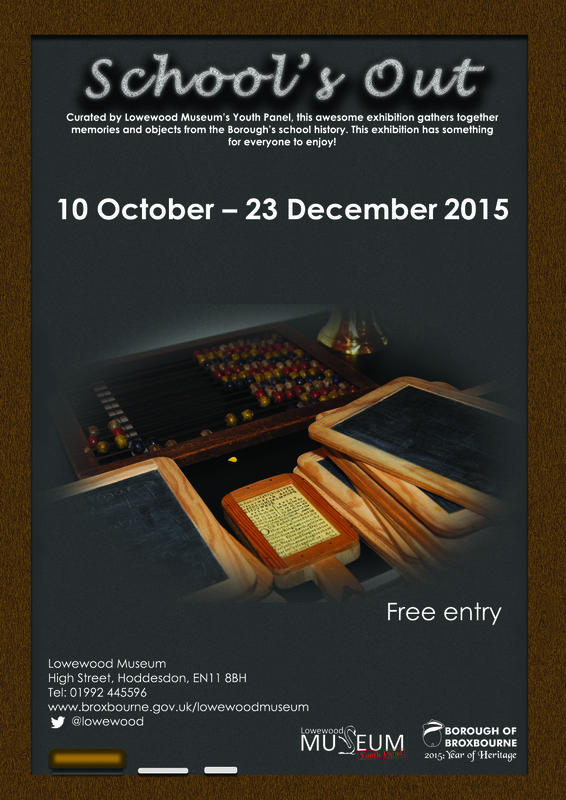 Opening on Saturday 10 October, ‘School’s Out’ gathers together memories and objects from the Borough’s schools history. Curated by Lowewood Museum’s Youth Panel, this special exhibition has something for everyone to enjoy. Below is a gallery of images from Lowewood Museum’s photographic collection of schools through history.